1 What Is Fish Fertilizer? 2 How Does Fish Fertilizer Work? The idea of fish fertilizer may sound strange. How can fish provide a food source for my plants? But it shouldn’t come as any surprise that like all other natural products, fish can be a great fertilizer. 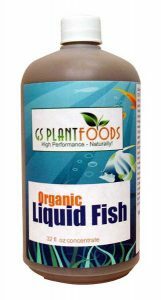 Chock-full of vitamins, amino acids, proteins and more, fish fertilizers are organic. They offer other micronutrients which standard NPK fertilizers lack. Yes, they can have a fishy smell to them, but once diluted, the smell fades quickly. And your plants will love them. You’ll grow to love them too! Interested? Let’s dive into the wonderful world of fish fertilizers and supplements. We’ll discuss the benefits that these can provide to us. I’ve even got a great story from a pro who relates the story of his first experience making some! And even if you don’t want to make it, I can help you find places to buy it in the US and beyond. Fish fertilizers take many different forms, and these seem a bit esoteric to the beginner. Let’s discuss the variety of different fish fertilizer types a bit. This will explain loosely how they’re produced and what the end result looks like. Fish meal is a byproduct of the production of fish oils. This is produced by cooking and pressing fish, then drying and grinding the meat and bone. While it’s not composted, this fish meal fertilizer is often used as a soil amendment. Available in compressed cakes or a loose meal form, it is a fine, brownish material. It can be grainy or powdery in consistency, and is easily worked through soil. What is fish emulsion? That’s a very common question! There’s two different variations of this process. Most commercial fish emulsion begins with fish meal. The meal leftover from the oil extraction process gets put through a steam bath. This extracts proteins from the meal which then condense into a container. The liquid is one form of fish emulsion. A second variation of fish emulsion is produced in a more rudimentary fashion. Remnants from fisheries such as the internal organs or heads of fish will be stockpiled. These are cooked down and strained to produce a fish emulsion fertilizer. Fish emulsion tends to smell like fish, and many people aren’t fond of the aroma. It can be thick, resembling molasses, or slightly thinned down. It’s meant to be diluted in water before use. Hydrolized fish fertilizer has a similar end product to fish emulsion. It’s liquid and may be thick, and it has a pungent fishy aroma. It’s produced in a different way than emulsions are, and can even be done at home. Typically a batch of fish hydrolysate is made from whole fish or the remnants from fisheries. Internal organs, fish heads and tails, scales, meat, and bones may be involved in the process. This material is ground into a paste. It is then fermented to break down the fish material into a liquid fish fertilizer. DIY fish fertilizer uses a similar process of fermentation to break down the fish. It can take some time for fermentation to occur, and it’s pretty stinky while it’s happening! The remaining liquid fertilizer is filled with fish amino acids, proteins, and more. These nutrients are easily absorbed by the plants and act as a good nutrition source. Finally, there is fish waste. This is a term used to refer to the waste products that fish themselves produce while alive. In an aquaponics system, fish live in a tank or pond system attached to a garden space. As the fish produce waste and it breaks down in the water, a pump will direct some of the water to the garden. The garden acts as a filtration system for the water, removing any particulate in the water. Nutrients in the waste are absorbed by the soil, and any excess water are piped back to the tank. Much like animal manure, fish waste is a very viable fertilizer source. However, it’s only viable in an aquaponics system, and is not commercially available on its own. How Does Fish Fertilizer Work? In bygone years, fish fertilizer was very common. 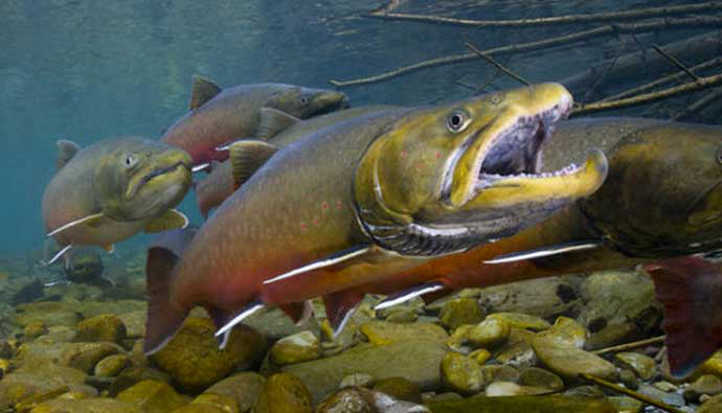 Native American tribal groups in many regions would bury a fish when planting seeds. As the fish broke down, it provided nutrition to the plants, thus aiding them to grow. But modern fish fertilizers work a bit differently than other organic fertilizers. Some, like fish meal, offer slow-release nutrition. As fish meal is dried and granulated fish remnants, it still needs to compost down in the soil. Over time, fish meal can provide nitrogen, phosphorous, and potassium. 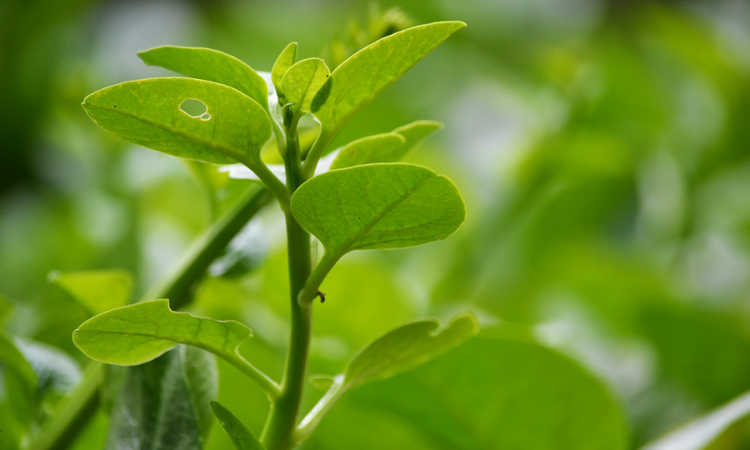 It also provides other minerals and vitamins which your plants need such as calcium or iron. Both fish emulsion and hydrolized fish fertilizer are liquids. The fish has been broken down to easier-to-absorb plant food. Once diluted in water, these are commonly used as a foliar spray or in drip irrigation systems. 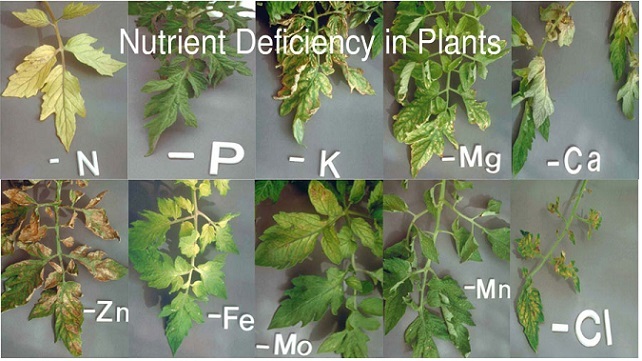 They provide more rapid N-P-K feeding to your plants as well as other micronutrients. There’s some debate about fish fertilizer as compared to other organic fertilizers. Some contend that there’s cheaper sources of NPK nutrients, and that can be true. If you’re in an area where manure is available, use what’s close at hand! But if you like to go fishing, or you can get fish remnants from a local butcher or fishery, you might as well use them. Hydrolized fish fertilizer is easy to DIY, and can be cheap to do. You’re diverting waste from landfills while providing food for your plants. It’s a great eco-friendly solution. Fish fertilizer benefits go farther than just plant food, too. 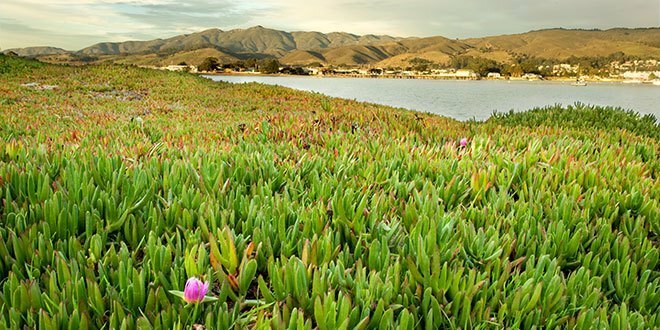 With fish hydrolysate, you’re also feeding the microbial population of your soil. These soil-dwelling microbes can help your plants take up nutrition better. They break down whatever your plant can’t digest into a form which plants can digest. So don’t just think of fish fertilizer for plants. It’s good for the soil, for the plants, and for your eventual food harvest or flower production. It helps reduce the waste dumped in landfills, and allows you to recycle it into something useful. It’s highly unlikely anyone will make fish meal or fish emulsion at home. But making a hydrolized fish fertilizer is definitely much easier to do. You’ll need airtight containers, an abundance of fish, and some form of sugar. Either brown sugar or molasses mixed into sawdust can work for the sugar component. The process for making this type of fish fertilizer is very much like bokashi composting. In this anaerobic process, the bacteria will break down the fish over a period of months, making it into a liquid. After straining it to remove large pieces (which you can then re-process to break down further), you then dilute amounts of this in water to use as fertilizer. 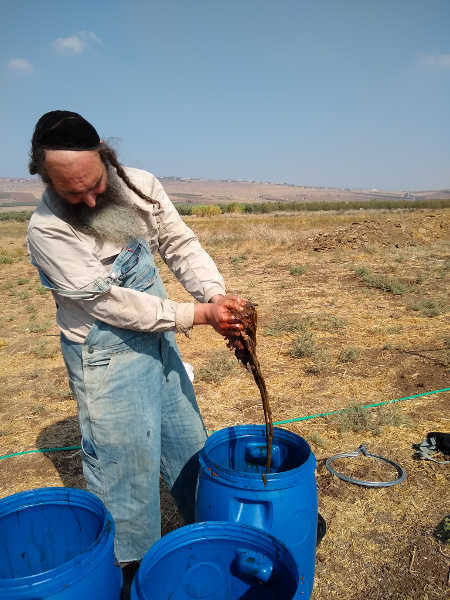 Binyamin Klempner is a farmer and soil artist who lives in the city of Tiberias next to the Sea of Galilee. He shared this great story about his experience making fish fertilizer. 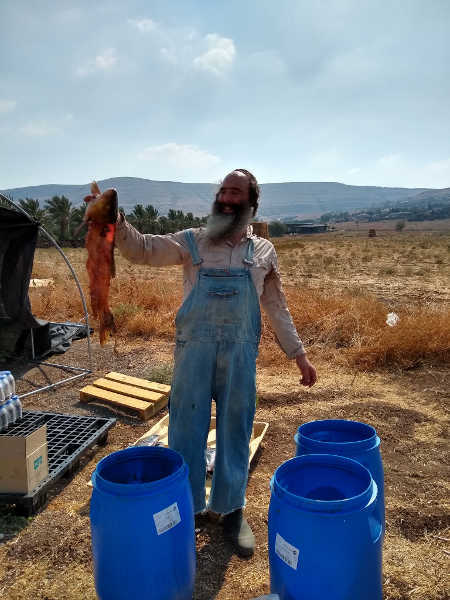 This product, which he refers to as Fish Amino Acid, is sold through his company, Galil Soil Farm. His business began when he realized there was a genuine lack of organic products to use in farming in his region. Now he sells organic options to Israelis and Palestinians seeking healthier amendments. The instructions were simple: equal parts fish to brown sugar. Mix well so that the surface of the fish is entirely covered with sugar. Seal in an airtight container, then let ferment for no less than three months. Taking along Craig, a farm intern, we went down to the local outdoor market called shuk in Arabic. Now a shuk is not a farmers market. A shuk is full of shouts of shoppers yelling to haggle down prices and shopkeepers shouting about the fairness of their prices. The shuk is quite literally a thousands of years old Middle Eastern institution. The aromas found there are an amalgam. Freshly butchered meat, freshly caught fish, freshly harvested greens, cigarettes, pickles, olives, and the fruit scented tobacco of the occasional hookah blend together. When Craig and I arrived, we approached the first fishmonger we came across. Finding one took us no more than about thirty seconds. At this point, it must be said that neither Craig nor myself speak a word of Hebrew, Arabic, or Russian. These are the three predominant languages at this particular shuk in Tiberias. Approaching the fishmonger we tried our best in whatever broken Hebrew we could put together. It roughly translated as “fish leftovers?”. Seeing that we weren’t going to get too far using spoken language, I walked behind the counter and started to look around. It dawned on me that explaining to our fishmonger in English about sustainability, sustainable fertilizer, Fish Amino Acid, compost, and all other good things, wasn’t going to get either of us very far. So thinking on my toes I said with excitement, “Chatulot!” “Cats!” As in, this is food for the cats. Well, with that everything made perfect sense to our fishmonger. Happy to prevent potential waste from unnecessarily entering the waste stream, he led us to the rest of the cache. We were fish-rich and it didn’t cost us a dime. In about another twenty minutes, after having visited several other fishmongers, we were loaded up with all the fish parts we needed for our first batch of Fish Amino Acid and were on our way to the farm. The first step was lining the bottom of a barrel with stones. Then two inches of brown sugar. Then came touching the fish. This being my first batch of FAA it didn’t occur to me that I might want to take along a thick pair of rubber gloves. Fishmongers wear those things for a reason! With only my bare hands (and a lot of melodrama) to rely on, I got to work. The texture was cool, smooth, wet, silky, unpleasantly pleasant. The smell (or perhaps I should say “aroma”) was that of the sea. The Sea of Galilee, a sea known for its fish and fishermen for many thousands of years the world over. Any squeamish tendencies were trumped by exhilaration. I was on a mission to make some of the worlds best fish fertilizer using some of the world’s holiest fish. After about two hours the work was done and the barrels sealed. I washed my hands with soap several times (to be on the safe side). For the next few months we’ll let the fish ferment. Meanwhile it looks good and smells great! I can’t wait to get it on my plants! Don’t want to make your own fish fertilizers? There are other options available to you! Let’s go over some of the top products available in the United States and discuss some of the pros and cons of each. 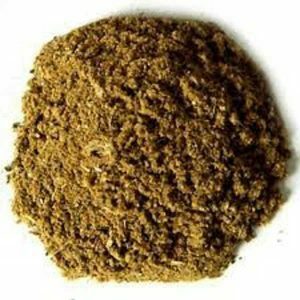 There’s a lot of great suppliers for fish meal out there. 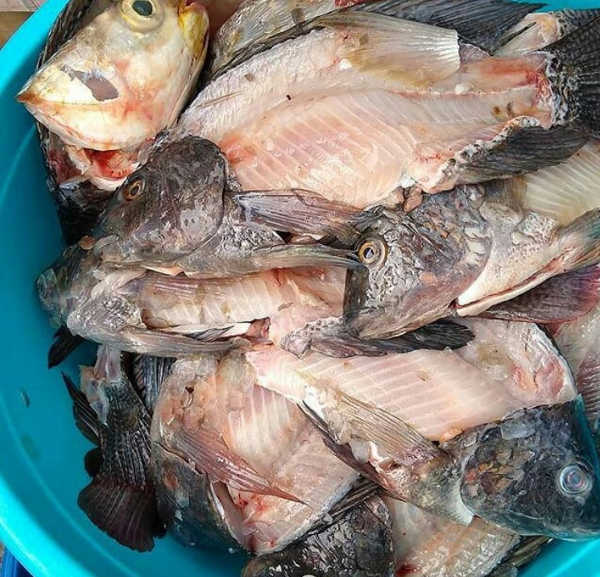 Whether you’re looking for meal made from the whole fish or just fish bone meal, it’s widely available. 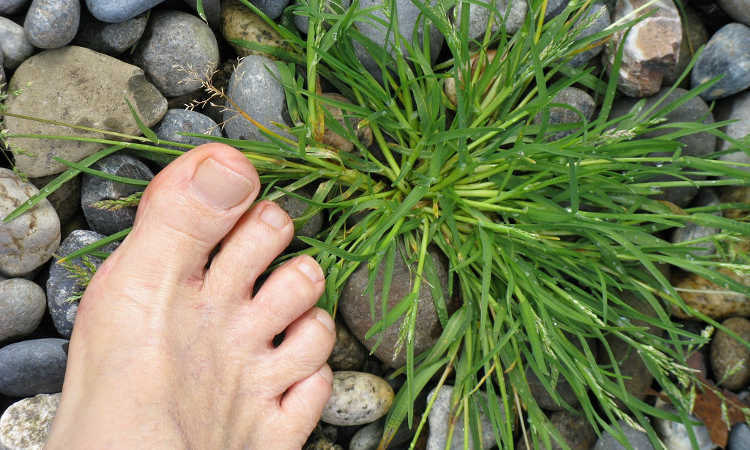 One of my favorite suppliers of organic amendments and fertilizers is Down To Earth. They carry both fish meal and fish bone meal. They also carry a fish-based fertilizer that blends fish products with other ingredients. Their fish meal is rated 8-6-0, and the fish bone meal is 3-16-0. Both are fantastic fertilizer options. Let’s talk fish emulsion! There’s a large number of suppliers for this in the United States as well as abroad. 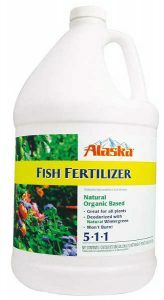 A popular brand is Alaska fish fertilizer. They have multiple formulations of their fertilizer, but the most common is 5-1-1. This particular formulation they claim is deodorized with wintergreen. Still, there will be a slightly fishy aroma lingering after use. Another option as it’s cost-effective is Fertilome fish fertilizer. This is also a 5-1-1 NPK. As it’s produced overseas it tends to be very inexpensive. If you prefer to buy American products, the Alaska brand may be better for you. How about hydrolyzed fish fertilizer? If you don’t want to make this stuff yourself, there are a plentiful supply of companies that will help. I’m partial to the Neptune’s Harvest hydrolyzed fish fertilizer. At 2-4-1, it’s not super-high in nitrogen. What it is good on is phosphorous, and that’s useful for promoting flowering. This is great once my plants are already established. A slightly lighter version at 2-3-1 is GS Plant Foods’ hydrolized fish fertilizer. If you’re looking for an option that you can use on a regular basis as a foliar spray, this is a good one. It’s not so potent that it will scorch your plant leaves, but it’s strong enough to provide a good feeding. Both options should be diluted in water before use. When all’s said and done, fish is great food – not just for you, but for your plants too! 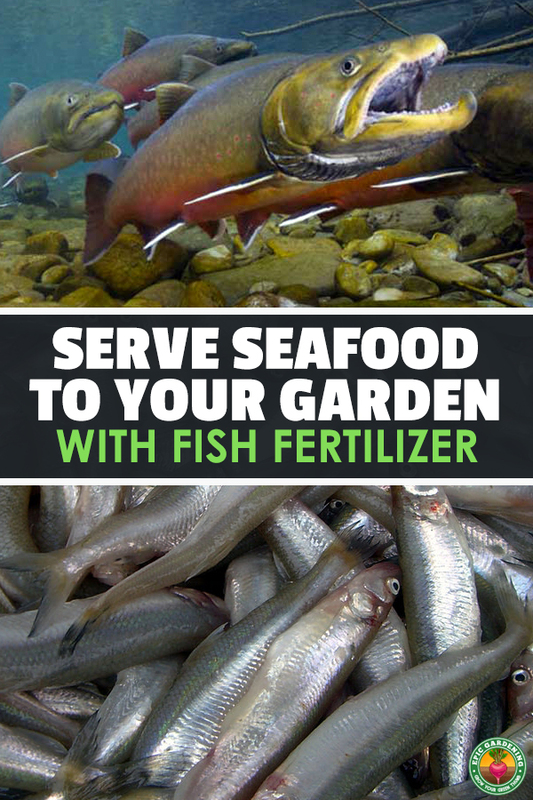 Have you used fish fertilizer on your plants? Do you prefer emulsions, meal, or hydrolyzed fertilizers? Let me know in the comment section! Great article. I try to find out what kind of fish is being used. 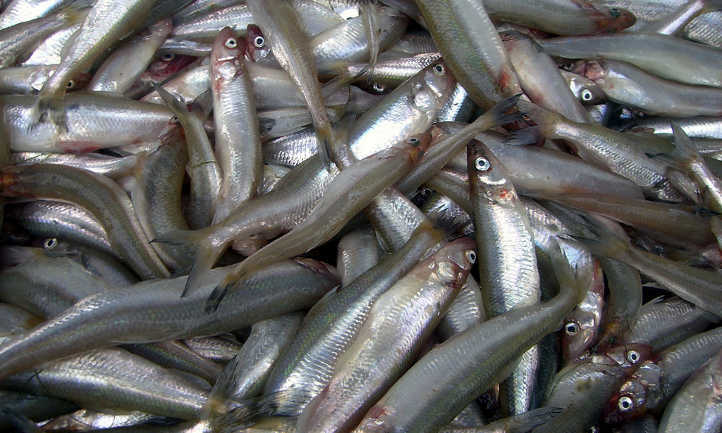 What I avoid is fertilizer made from Baitfish like minhaden. or any small fish that’s used whole. That’s taking food out of the ocean from the food chain. Smart Thanks for the comment.